Edith Lundebrekke graduated in 1992 from the National College of Arts and Crafts in Oslo, Norway. Her degree is from the Faculty of Textiles, but she works mainly with other materials, such as wood, glass, brick and metal. Since then she has had several solo exhibitions in Norway, and participated in a number of group exhibitions nationally and internationally. Many of Norway’s leading art institutions have purchased her work, and she has received particular attention for her works with wooden reliefs, where the experience of colour and shape changes according to the spectator’s movement. Lundebrekke works mainly with materials such as wood, glass, brick and metal. 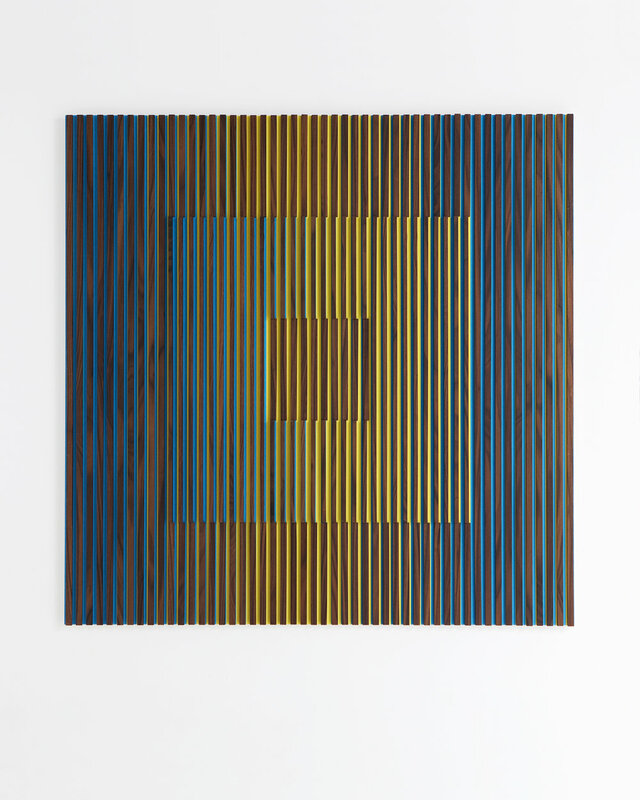 Many of Lundebrekke’s works are reliefs made of coloured wooden slats attached to a plywood background, creating a shallow surface with slight depth and space variation. The coloured slats make a layer that interplays with the coloured pattern painted on the background. The perception of the work is constantly shifting according to viewing angle and the changing angle and quality of the incidental light. Lundebrekke has received a number of major commissions, including hospitals, airports, schools, embassies and government representational facilities. Over the years she has also worked as a curator and art consultant.